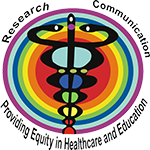 The mandate of World Healthal Trust is to carry out R&D in medical sciences and biotechnology to find solutions to the many unmet holistic health needs that require emergent attention by the scientific community, as well as communicating the essence of scientific developments in various strata of society with the purpose to enhance public awareness and understanding of such advances. By engaging communities and governments in the effective application of science & technology, it is envisaged that the disease burden on the human populations would be lowered and public health be restored. The socio-developmental activities of World Healthal Trust are poised to enhance the health and education status of different groups of people on a broad scale. The myriad training programmes of World Healthal Trust include those for employment generation and skill development, and special training courses/workshops for biotech trainees and professionals. .